Lauren Allen is currently a postdoctoral researcher at Carnegie Mellon University's Human-Computer Interaction Institute, conducting design-based learning research for the expansion and implementation of www.macroinvertebrates.org by citizen science groups aiming to measure water quality in the mid-Atlantic region. She is also director of science and learning at the Center for PostNatural History (www.postnatural.org). 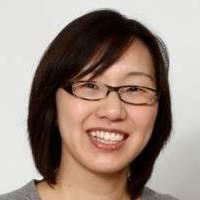 Elaine Wang accepted a position as Education Policy Researcher with RAND Corporation (Pittsburgh office). Elaine’s research has focused on teachers’ and principals’ sensemaking of policy initiatives and how that influences their practice; and literacy instruction and learning. She specializes in using qualitative/case study methods to understand policy implementation and to examine relationships between instruction and student learning outcomes. Elaine earned her Ph.D. in the Learning Sciences and Policy program (with Minor in Research Methodology) at the University of Pittsburgh. She has an M.A. in Curriculum, Teaching and Learning from the Ontario Institute for Studies in Education (OISE) at the University of Toronto. Her B.A. (English and French) and B.Ed. (Secondary English and French) are from the University of British Columbia in Vancouver, Canada. Prior to pursuing her graduate studies, Elaine taught high school English for nine years. As a graduate student, Elaine worked with Dr. Lindsay Clare Matsumura and Dr. Richard Correnti. Elaine took on the lead qualitative researcher role on an IES-funded project that developed and investigated an online professional development intervention to improve the quality of teachers’ reading instruction, and a Spencer/Grant-funded project that aimed to assess the content and interactions of literacy instruction through multiple scalable measures. 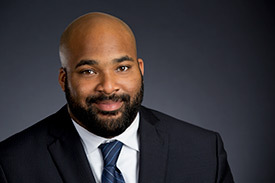 Native Texan Joshua Childs is now an assistant professor at the University of Texas at Austin. His interest in interorganizational networks and the possibility of leveraging networks to effeciently and effectively address complex and urgent educational problems fits in well there at the university. He utilizes social network analysis to study the collaboration and coordination of interorganizational networks, witha a particular focus on network surveys and interviewing techniques. In urban environments early on in life, he began to notice how the problems that affect the most underserved do not have quick-fix solutions. Recognizing that these problems are complex, he focused his research efforts on understanding creative solutions that could address these complex social and educational problems. He is most interested in understanding how community organizations can collaborate to address different educational issues, improve the learning opportunities for all students, and involve multiple stakeholders across the educational system. 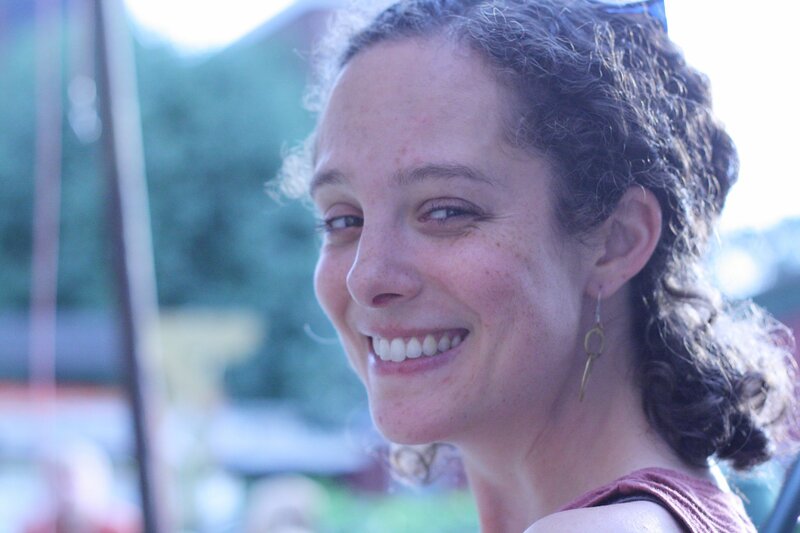 Lisa Brahms is the Director of Learning and Research at Children’s Museum of Pittsburgh and a Visiting Researcher with the University of Pittsburgh Center for Learning in Out of School Environments (UPCLOSE). 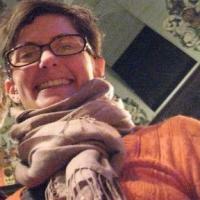 Lisa has been an educator and designer of formal and informal learning experiences and environments for over a decade, working in schools and at numerous children’s, art and history museums. Lisa earned her PhD in Learning Sciences and Policy at the University of Pittsburgh, and holds a master’s degree in Museum Education and Childhood Education from Bank Street School of Education. Lisa’s research considers the design of informal learning environments for meaningful participation in creative processes with digital and physical media. She is currently investigating the design of making as a learning process for museums and libraries. Peter Wardrip is a Research Scientist at the Children's Museum of Pittsburgh. His current work investigates learning in makerspaces and specifically the components of effective makerspaces in museums and libraries. 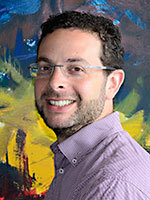 He is also a Visiting Learning Researcher in the UPCLOSE lab. In general, his research investigates how teachers design and facilitate ambitious learning experiences with new technologies and innovative approaches to improve learner outcomes. Sam Abramovich is now an Assistant Professor of Education Informatics in the Department of Learning and Instruction and the Department of Library and Information Studies in the Graduate School of Education. His research generally examines and guides learning opportunities presented by the intersection of Education Informatics and the Learning Sciences. One line of work looks at educator interactions in large-scale online resource exchanges. A second line of work examines the effects of educational badges on motivation to learn. Sam graduated from Brandeis University with a Bachelors in Politics and received his Masters in Teaching from the University of Virginia. Prior to enrolling in the LSAP program, he researched the educational potential of video games and taught classes for the Center for Technology in Education at Johns Hopkins University. Before devoting himself to a career in education he worked at several dot-com’s specializing in security software. As part of Prof. Chris Schunn’s lab, Sam had been investigating learning opportunities presented by emerging technologies. In particular he looked at teacher professional development in large-scale online social networks and how elements of games can increase motivation in online learning applications. You can find Sam’s most recent research as well as interesting links about the intersection of technology and education on his web page. Miray Tekkumru Kisa has accepted a position at the University of Pittsburgh’s Learning Research and Development Center as a post-doctoral research associate. She works on an NSF-funded project that focuses on the design of scalable STEM units that aim to teach rigorous mathematics tied to big ideas in biology and use engineering design in project-based activities in high school science classrooms. Her work in this project involves designing educative curriculum materials for teachers to support their enactment of the units as well as studying the impact of the materials on teachers’ learning and instructional practices. Recently, she took primary responsibility in designing and studying the effectiveness of a web-based tool (iPlan), which provides access to the educative curriculum materials electronically and involves interactive features to support building of a learning community among the teachers. Miray’s research focuses on designing and studying the effectiveness of tools (e.g., video cases, educative curriculum materials) and environments (e.g., professional development, web-based learning environments) for supporting science teachers’ learning and instructional improvement. She is interested in supporting the use of cognitively demanding tasks in science and mathematics classrooms. She has investigated science teachers’ learning to select cognitively demanding tasks and notice important features of classroom interactions to be able to maintain high-levels of student thinking and reasoning during the enactment of cognitively demanding tasks. Prior to enrolling in the LSAP Program, she worked at Bogazici University (Istanbul, Turkey) where she received her Bachelor’s degree in primary school science education and a Master’s degree in secondary school science and mathematics education. During her eight years at Bogazici University, she was involved in several education projects that aimed to improve teaching and learning in science and mathematics classrooms in Turkey. 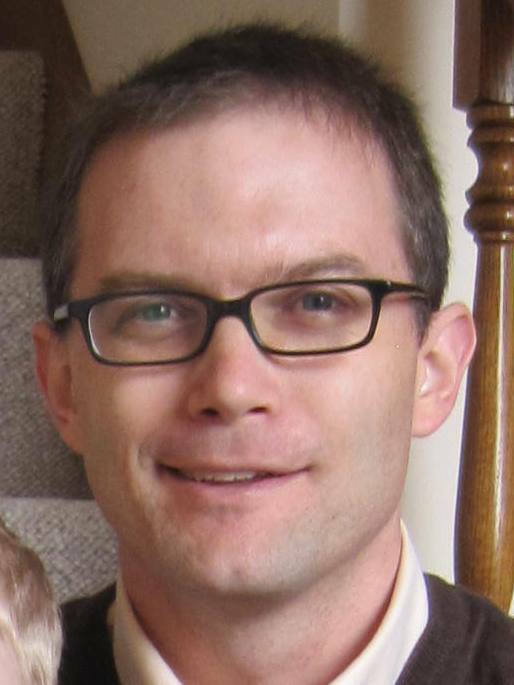 Jimmy Scherrer was an Assistant Professor at North Carolina State University. His research focused on individual learning and identity, organizational learning and identity, measurement, assessment, and the role of discourse in social interactions. Projects as an LSAP student included: (1) A collaboration with Mary Kay Stein (PI) and other senior scientists at the Learning Research and Development Center that included the development of a coding scheme intended to capture teacher-student discourse patterns, (2) A collaboration with Lauren B. Resnick that investigated the social interactions within nested learning organizations, and (3) Independent research of the use of value-added modeling in accountability systems. Jimmy was named an Emerging Leader by Phi Delta Kappa. Jolene Zywica has accepted a position at Carnegie Mellon University's Entertainment Technology Center as a post-doctoral researcher. Prior to moving to Pittsburgh, Jolene Zywica was a literacy coach in Chicago public schools and a researcher at the Digital Youth Network. Jolene graduated from the University of Illinois at Urbana-Champaign in 2004 with a B.A. in Psychology and a minor in Information Technology Studies. She graduated from the University of Illinois at Chicago in 2007 with a M.A. in Communication. Her interests are online learning, engagement, open access publishing, family involvement in learning, bridging home and school learning, identity and digital media production practices.